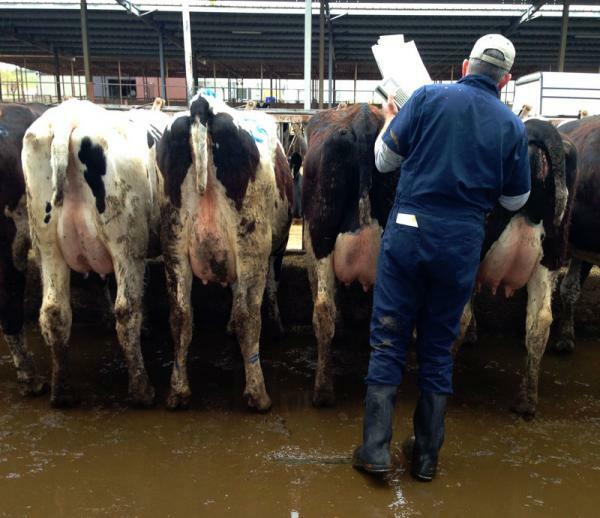 Dean Hibbs, with All West Select Sires, could be called the date doctor for dairy and beef cows. He’s tallying their traits and seeing which bull might be the best match to produce the highest-quality dairy calf. 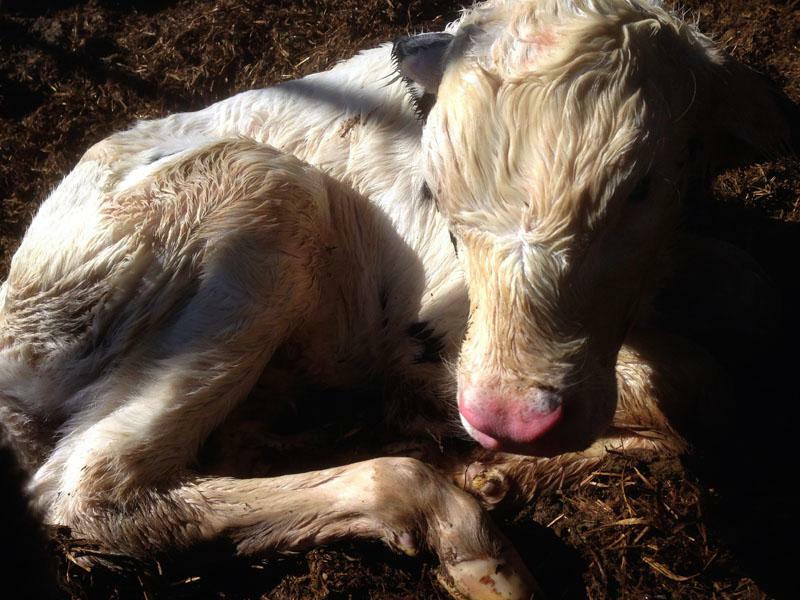 A half-hour old calf shivers in the morning cold at a dairy outside of Pasco, Wash. This calf is now worth more than twice the price than he was last year. Miguel Galvez, 21, attaches “claws” or automatic milkers to cow udders at a dairy in Sunnyside, Wash. Many Northwest workers like Galvez are being asked to milk more cows per hour for the same pay, despite higher prices for milk. We’ve all heard of the Western Gold Rush. But how about the Northwest cattle rush? Farmers in our region are taking advantage of record prices worldwide for dairy and beef. And on the front lines of this Northwest herd expansion is your friendly artificial insemination technician. So when you douse milk on your morning cereal, think of guys like Dean Hibbs. Hibbs has been on breakneck drive to breed more cattle and hasn’t had a day off in weeks. He says cows in heat wait for no man. "These are my girls. I made them." Hibbs leads the way past a lineup of switching cow tails, looking for the hot cows -- the ones in heat. Hibbs says he has done this “thousands and thousands and thousands" of times. "These are my girls. I made them." Hibbs is working some dangerous, long weekends. The reasons for this extra business is close to home and -- on the other side of the world. Here in the U.S.A., strong demand for cheese-smothered pizza and Greek yogurt is increasing demand for dairy. While thousands of miles away, China’s growing middle class and insatiable demand for dairy and beef is jacking up demand even further. But he adds it’s not all good. Another reason for the increased demand is the misfortune of his neighbors to the south. 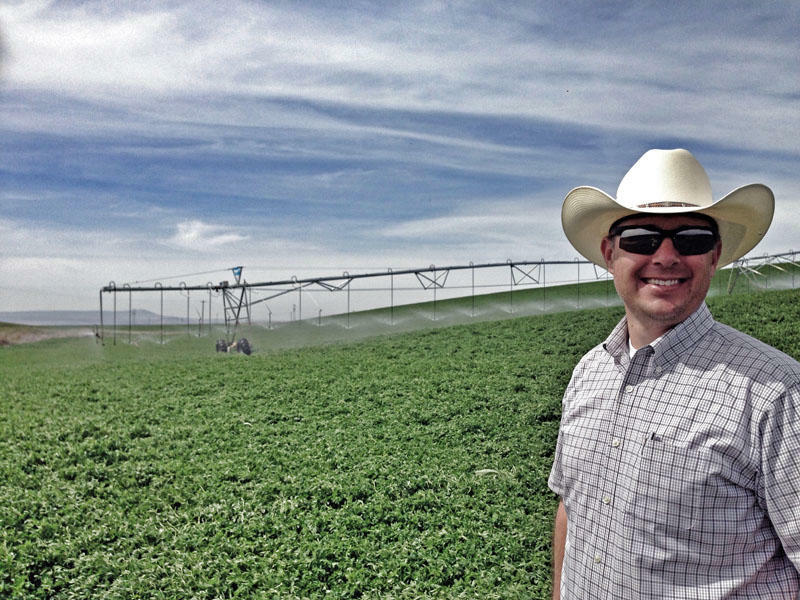 Drought in California and Texas means farmers there are reducing their herds, or going broke. With all this milk and beef shortage, Hibbs says he’s breeding herds now that he’s never bred before. All the romance happens right here. Hibbs walks around a large concrete pen of dairy cattle. He creates an online profile of sorts. Some cows score pretty high like an eight or nine out of 10. Others … well let’s just say it doesn’t sound very scientific. Like this one: “She’s weird. She’s just weird." All of these numbers will be run through a computer full of pedigrees and stats -- then this cow will be matched with a bull from Ohio. It’s Internet dating for cattle. The hope is the pair will throw the best possible female calf. That calf will be delivered by someone like Jose Jimenes. He’s the herdsman of this dairy outside of Pasco. Right now, little bulls like this are like gold on four wobbly legs. This crossbred little guy is worth about $260 -- more than twice the price he would have brought last year. But it turns out, not everyone is sharing in profits of this cattle rush. 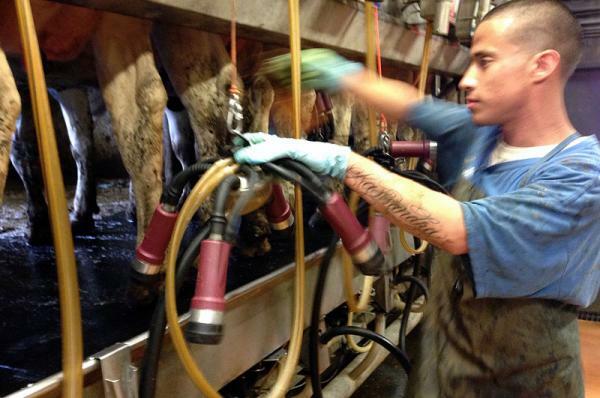 Francisco Carrillo is another herdsman at a dairy farm about 50 miles down the road. Still, farmers say the extra money is going to pay back loans, buy newer equipment and stuff cash into savings. And they say they have to consider the uncertain future. For example, if China decides to quit American milk -- that huge surplus might be dumped on the U.S. market. Many Northwest alfalfa growers had a rough year with bad weather last summer. Attorneys for Idaho Gov. C.L. "Butch" Otter are asking a federal judge to dismiss a lawsuit challenging a new law that makes it illegal to secretly film animal abuse at agricultural facilities. A coalition of animal activists, civil rights groups and others sued last month, asking U.S. District Judge B. Lynn Winmill to strike down what they call an "ag gag" law. The coalition contends the law curtails freedom of speech and makes gathering proof of animal abuse a crime with a harsher punishment than the penalty for animal cruelty itself.